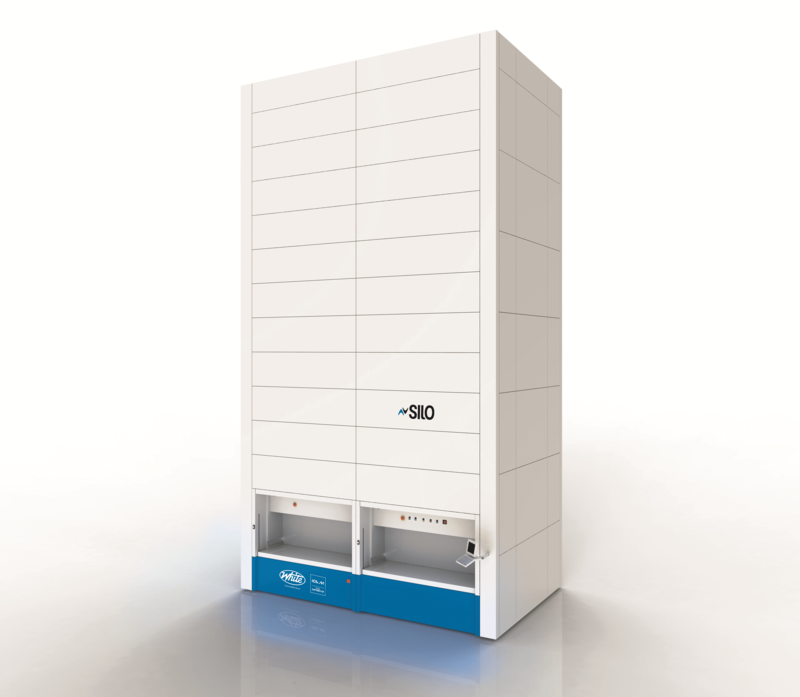 The White Systems array of Silo Vertical Lift Modules (VLMs) provides the perfect solution for the storage of tooling, spare parts, raw materials and kits in the manufacturing environment. 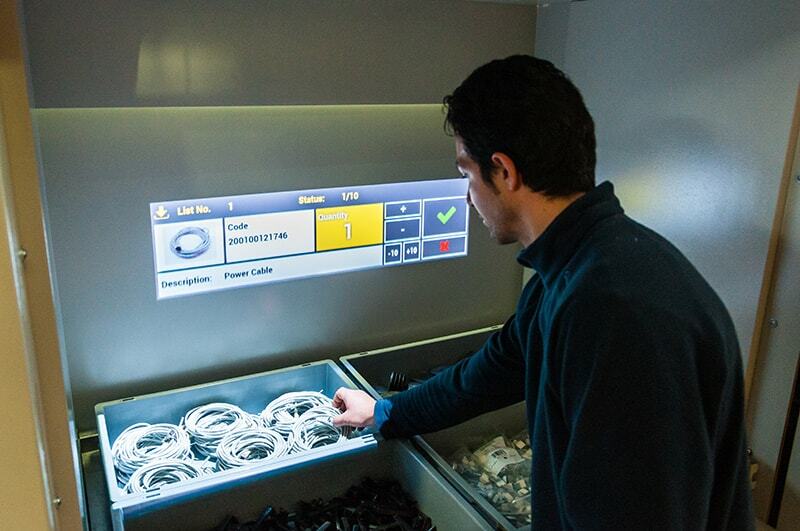 These systems recover valuable manufacturing floor space, enhance productivity and reduce costly errors while managing inventory levels in real time. The White Systems Silo series of VLMs are available in many tray sizes and weight bearing capacities and can be equipped with adjustable partitions and dividers to create the correct cell size that will optimize the storage area. The HMI is a fully functional Windows-based PC which eliminates the need for an additional PC in the workstation. The Silo2 can be equipped IRide, the head-up digital dashboard that is exclusive White Systems Silo VLMs. This patented device directs the operator to pick-to-light, pick-to-picture, displays part numbers and allows for adjustment of the quantities of the items to be picked. Confirmation of transactions can be confirmed at the pick window without having to walk to the workstation computer.